Imagine a place where more than 350 species of wildlife, from stately bighorn sheep to tiny pygmy rabbits, are found in an abundance you’d expect from remote Alaska or Yellowstone. This is the Greater Hart-Sheldon Region. The public land of the Greater Hart-Sheldon Region spans from the Hart Mountain National Antelope Refuge in southeastern Oregon to the Sheldon National Wildlife Refuge in northern Nevada. These refuges are collectively managed by federal land management agencies as the Sheldon-Hart Mountain National Wildlife Refuge Complex. Between these two refuges, you’ll find other scenic public lands, including Beatys Butte, Hawk Mountain, and the Warner Valley. This vast, remote, and wildlife-rich region is one of the largest intact swaths of sagebrush steppe left in the West. It has been recognized as one of the six most critical areas for the long-term survival of the Greater sage-grouse. Pronghorn, the fastest land mammal in North America, race across this region, as they migrate from one refuge to the other. Both Sheldon and Hart Mountain refuges were initially established in the 1930s to protect the pronghorn antelope and the vast lands that support the species. Each refuge provides important habitats for pronghorn during different times of the year. By collaring pronghorn, scientists identified critical pronghorn migrations routes and high-use areas in the region. The study found that pronghorn migrate between the two refuges and that the animals heavily rely on an area of unprotected Bureau of Land Management land between the two refuges known as Beatys Butte in the winter. The past is present in the Greater Hart-Sheldon Region. The area holds one of the richest cultural resource records in North America due to the number and age of sites known to have been utilized by people for thousands of years. 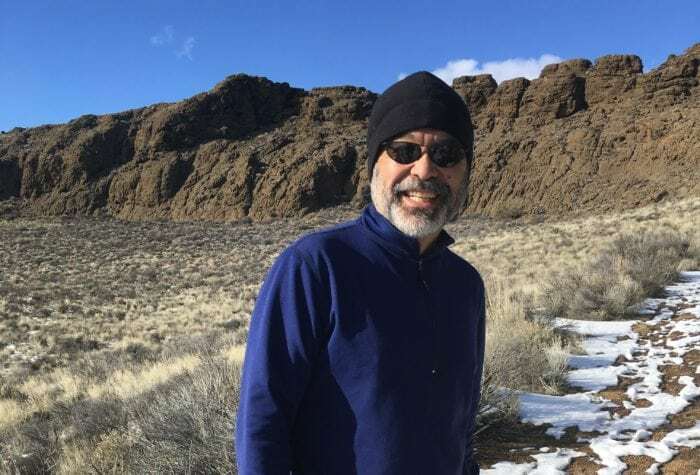 Recent efforts to date prehistoric sites in the Hart-Sheldon region and across eastern Oregon’s high desert have documented some of the oldest known evidence of human habitation in North America. Petroglyphs are often found among the region’s large boulders and rock gardens. These artistic depictions lead viewers to wonder who created these carvings, and why. The visual history captured in rock art helps people today understand the past of the people who have lived in this stunning part of Oregon for thousands of years. Our picks for campsites and cabins in the region. What you need to know about your options for fueling yourself for adventure. There's so much to discover in this wide-open country. Here are a few highlights. A collection of links and further reading to help you plan your exploration. Oregon Natural Desert Association works closely with land managers to protect the region’s most outstanding public land and promote ecosystem health. In the face of development pressures, we’re advocating for the protection of essential public lands between the two refuges, preserving critical wildlife habitat, cultural resources, and the natural values of the area people have come to know and love. For more than 20 years, ONDA has organized restoration projects to remove unneeded barbed-wire fence from Hart Mountain National Antelope Refuge. This effort, in coordination with other groups, took 300 miles of fence off the refuge, taking down barriers for pronghorn and other wildlife, and allowing them to roam freely across this landscape. And, to grow public participation on our conservation efforts, ONDA is raising the profile of this spectacular, but little-known region through films and photography and by providing informational resources, like our Visitors Guide. To learn more about this region, contact Jeremy Austin, our Greater Hart-Sheldon Region Coordinator, at jeremy@onda.org or call (541) 330-2638. Tell Secretary of the Interior Ryan Zinke and BLM not to undermine sage-grouse conservation and to let the sage-grouse plans work.